flagship magazine, CQ Amateur Radio. 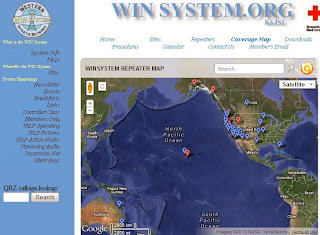 as shortwave listeners, broadcast band DXers, CBers or scanning enthusiasts. who will now be able to reach a wider and more diverse audience." and will include selected columns carried over from the other magazines. AMSAT-UK's FUNcube-1 is now in orbit, renamed AMSAT-OSCAR 73. The ARRL Letter reports that FUNcube and 18 other satellites were successfully launched today on board a Russian Dnepr rocket. One of the other satellites - UniSat-5 - will deploy additional satellites, including several that will operate on the ham bands. Initial reports are that AO-73 is operating normally. The latest orbital elements for FUNcube-1 are available at http://funcube.org.uk/working-documents/latest-two-line-elements/. Like hams everywhere, amateur radio operators in the Philippines were able to get on the air after Typhoon Haiyan and provide initial communications after the storm destroyed much of the infrastructure in Tacloban and surrounding areas. Communications were coordinated by the Philippine Amateur Radio Association's "Ham Emergency Radio Operators," or "HEROs" program. In the accompanying photo, Max Santos, 4F1BYN, operating at the station of DU1DL in Antipolo, copies health and welfare messages on 40 meters from Tacloban, one of the cities that suffered the greatest damage from the storm. 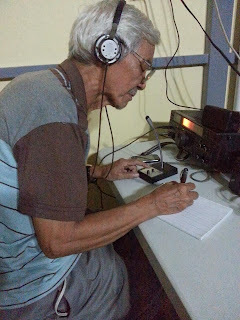 For detailed coverage, see our Public Service column -- "Radio HEROs Provide Critical EmComm in Philippine Typhoon Tragedy" -- in the upcoming January issue of CQ magazine <www.cq-amateur-radio.com>. Communications attorney Roger Sherman is the new Acting Chief of the FCC's Wireless Telecommuni-cations Bureau, which oversees amateur radio as well as other two-way radio services. Sherman replaces former Bureau Chief Ruth Milkman, who was named Chief of Staff to new FCC Chairman Tom Wheeler. According to the ARRL, Sherman previously served as the Democratic Chief Counsel to the House Committee on Energy and Commerce, along with other Congressional staff positions. Now this is a torch run! 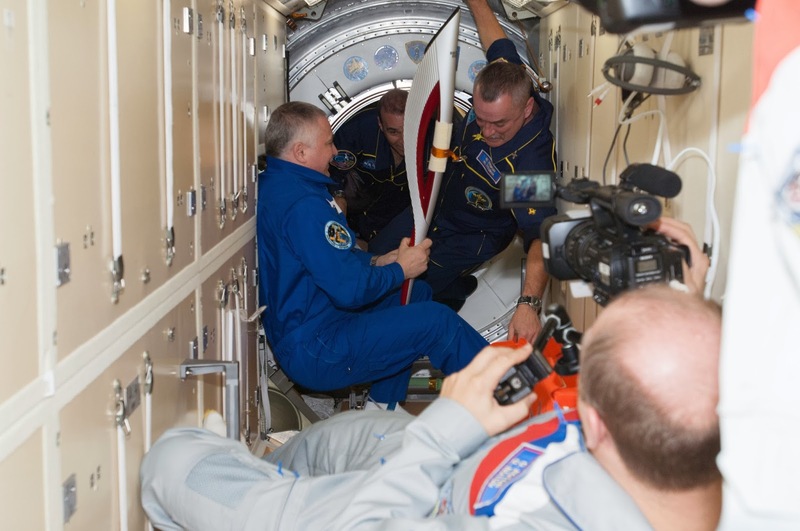 The route from Greece to Sochi, Russia for the torch that will light the Olympic flame at next February's winter games in the Russian city included a round trip to the International Space Station … carried there and back by crew members who are nearly all hams. The torch was taken up to the station in early November by the all-ham crew of Expedition 38 - Astronauts Richard Mastracchio, KC5ZTE and Koichi Wakata, KC5ZTA, and Cosmonaut Mikail Tyurin, RZ3FT. It was brought back several days later by returning Expedition 37 crew members, including Commander Fyodor Yurchikhin, RN3FI, and European Space Agency Astronaut Luca Parmitano, KF5KDP. Parmitano was very active on amateur radio during his stay on the station, according to the ARRL Letter, conducting many school contacts as well as making more than 200 random contacts with hams back on Earth. 22, 2013 episode of "Last Man Standing" on ABC-TV. The November 22 episode of the ABC-TV comedy "Last Man Standing" includes a segment during which star Tim Allen (Mike Baxter, KA0XTT) gets on 20 meters and works a pileup of more than 100 hams! The responses had been previously sent in by hams in response to a request from Producer John Amodeo, NN6JA, for short audio clips. In addition, the show's crew now includes 17 licensed hams, with eight new amateurs licensed during a November 9 exam session that also included one crew member upgrading to General. "Last Man Standing" airs Friday nights at 8 PM eastern time on ABC. The ARRL has released version 2.0 of its TQSL software needed for accessing the Logbook of the World (LoTW) online QSO database. According to the ARRL Letter, the new release is completely new and incorporates the earlier TQSL-Cert into the single TQSL program. The user interface is also completely new, and the League promises the new software will be easier to use than past versions. Difficulties using the TQSL software have been among some of the problems plaguing the program recently. More information, including a link to download the new program, is at <bit.ly/HIw335>. The ARRL has filed a petition with the FCC, asking that it replace current limitations on "symbol rate" for digital modes on HF with a simple bandwidth limitation of 2.8 kHz. According to the League, this would permit the use on HF of any digital mode whose signals are no wider than a single-sideband voice signal. It says the current rules were designed for 1980s technology and are impeding technological progress by hams today. At press time, the FCC had not assigned the petition a rule-making number or opened it for comments. The FCC's advisory committee for the 2015 World Radiocommunication Conference (WRC-15) has issued three recommendations regarding bands used by amateurs, and the ARRL says it agrees with all three. The first called for no changes to current allocations in the 70-centimeter band, which hams share with government radiolocation. ARRL Letter says one country has proposed allowing international cellphone and broadband use between 420 and 430 MHz, but the advisory committee said it does not feel sharing between the proposed service and radiolocation is feasible. Likewise, the committee recommended no changes to current allocations on 22-26 GHz, a frequency range in which amateur radio has a primary allocation from 24-24.5 GHz. Finally, the committee tentatively approved a proposal for short-range automotive radar in the 77.5-78.0 GHz range. If OKd by the conference, these radars would have co-primary status in the band with amateur radio and amateur satellites. A new band plan has been issued by Region 2 of the International Amateur Radio Union, which covers North and South America. Features include a new satellite subband from 144.000 to 144.025 MHz and the first formal recognition of "near space stations" (e.g., those operating from high-altitude balloons), although no specific frequencies were recommended for these operations. According to the ARRL Letter, the plan also includes suggested subbands for microwave ham bands and tries to harmonize the Region 2 band plan with those of IARU Regions 1 (Europe and Africa) and 3 (Asia and Oceania). This month is prime time for tiny satellite launches, many of which will use the ham bands for communications or telemetry. A November 19 launch from Virginia sent 29 satellites into orbit, including TJ3Sat, the first satellite designed and built by high school students. TJ3Sat includes an amateur radio component (see <http://www.tjhsst.edu/students/activities/tj3sat/>). A launch scheduled for November 21 from Russia was to send up another two dozen-plus "cubesats," tiny satellites that have become very popular among schools and hams alike. 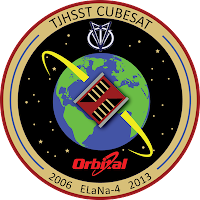 The ham radio "star" of the November 21 launch is FUNcube, a joint project between AMSAT groups in the United Kingdom and the Netherlands (see <http://funcube.org.uk/>). 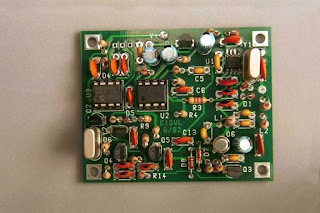 The original Rock-Mite transceiver board. The closing of Small Wonder Labs (see earlier post) left in doubt the future of the company's popular Rock-Mite QRP transceiver. An announcement on the SWL website in mid-November said production of the rig -- with some modifications -- would be taken on by QRPMe, which announced the introduction of the "Rock-Mite ][." See www.qrpme.com. When Nathan Rischling, KD0HFM, found himself stranded during a hike in the hills outside of Henderson, Nevada, his call for help on a repeater linked to the Western Intertie Network (WIN) was answered by Jim Frederick, KF6QBW, hundreds of miles away in Arizona. According to the ARRL Letter, Frederick again used the WIN system to seek out a ham in the Las Vegas area. James Freeman, KG7EWP, answered that call and called 911 to alert a search-and-rescue team. Frederick reported that a few hours later, Rischling came back on the system to thank everyone involved in his successful rescue. 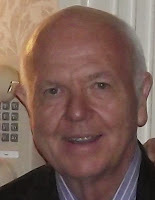 Sound, and Yaesu's Dennis Motschenbacher, K7BV. Erin King, AK4JG, the 2012 Newsline Young Ham of the Year, has been named by TheBestSchools.org as one of "The World's 50 Smartest Teenagers" (see <http://bit.ly/1gelyRI>. King's amateur radio activities were mentioned prominently in her profile. Congratulations to CQ's "VHF-Plus" Editor and CQ VHF magazine Editor Joe Lynch, N6CL, on his new position as Director of Religious Education at the United States Military Academy in West Point, New York. Lynch is a Methodist minister. As this is posted, Joe and his wife, Carol, W6CL, are en route to West Point from Tulsa, Oklahoma. Joe plans to continue both writing his column and editing CQ VHF in his new position. Six-meter operators look forward to the peak of a sunspot cycle for occasional F2-layer band openings that permit intercontinental DX on "the Magic Band." The current Cycle 24, however, has been too weak to feature any of these openings -- until November 9. The ARRL Letter reports that the 90-minute opening provided 6-meter ops across the U.S. the opportunity to work into the Caribbean and Central and South America. 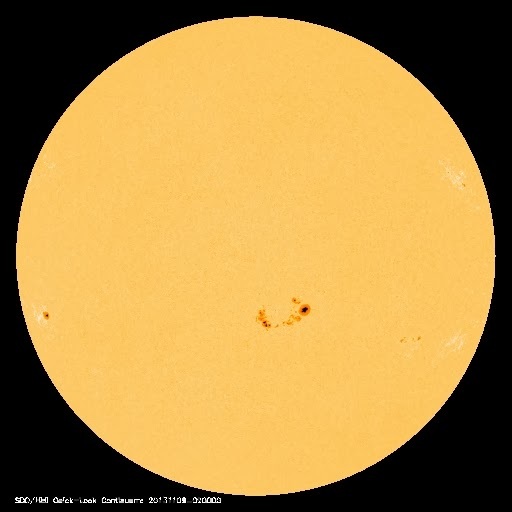 It's not the transatlantic or transpacific DX which occurred during the last sunspot peak in 2000-2001, but it's the best that the current cycle has offered so far. 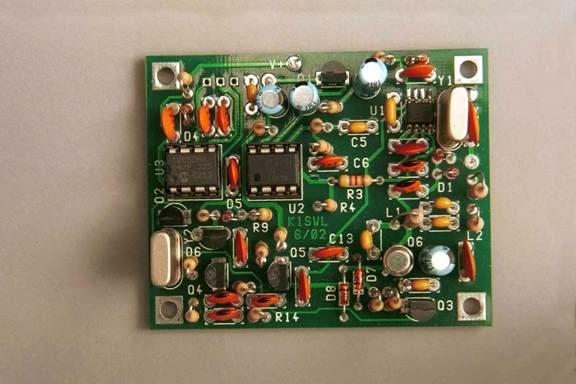 The AMSAT News Service reports that students at Japan's Tama Art University are working on launching a piece of artwork - complete with a ham radio transmitter - into deep space in mid-2014. The sculpture/satellite, named ARTSAT2 DESPATCH, was created on a 3D printer and sill be launched into deep space as part of a mission to explore asteroids. 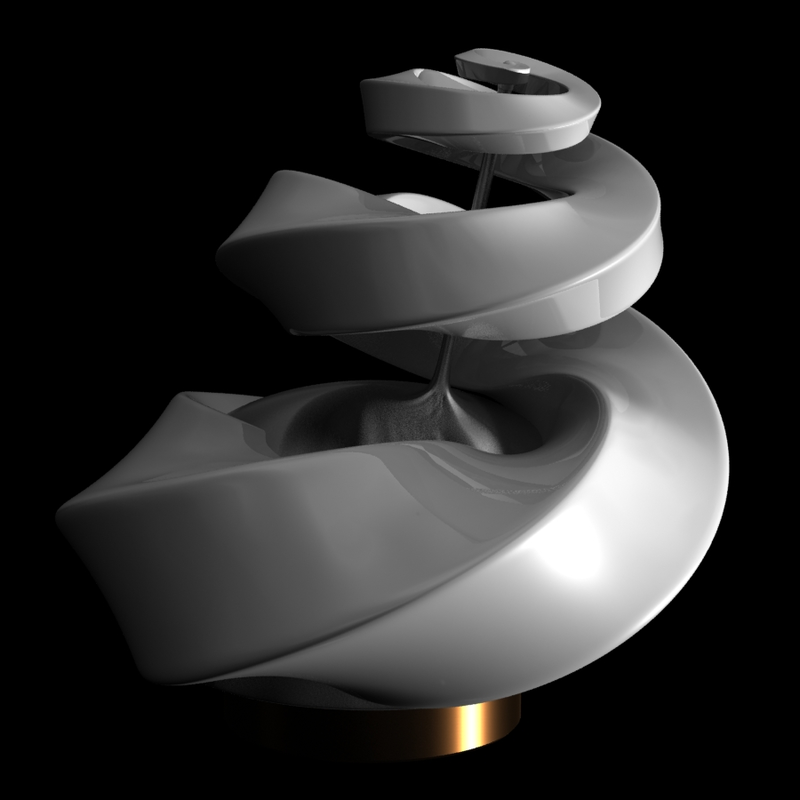 The vessel carrying the sculpture will also carry a low-power CW beacon operating on 435 MHz. It should reach its greatest operational distance from Earth - some 3 million kilometers or 1.8 million miles - about a week after it is launched, so receipt of those signals will represent a tremendous feat of QRP listening! For more information, see <http://tinyurl.com/ARTSAT-DESPATCH>. 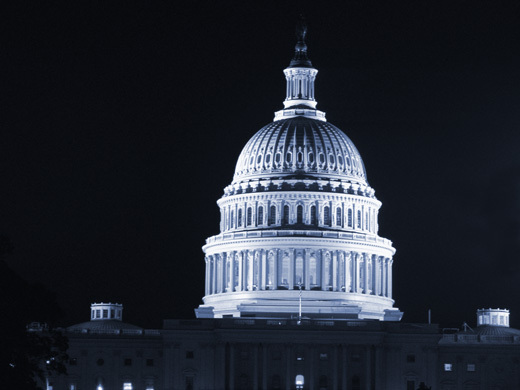 The U.S. Senate this week confirmed the nominations of Tom Wheeler as FCC Chairman and Mike O'Rielly as FCC Commissioner, bringing the commission back to full strength for the first time in several months. Wheeler is a venture capitalist and former telecommunications industry lobbyist. In the 1970s and 80s, he was CEO of the Cellular Telecommunications and Internet Association (CTIA) and president of the National Cable Television Association. A Democrat, he was nominated by President Obama in April to succeed Julius Genachowski as FCC Chairman. Mike O'Rielly fills the Republican vacancy created by the resignation of Commissioner Robert McDowell last spring. O'Rielly has been an advisor to U.S. Senator John Cornyn of Texas, the Senate's Minority Whip. The K9W DXpedition to Wake Island - postponed due to the federal government shutdown - has been rescheduled for November 3-15, 2013. Team members are en route now. For more information and additional updates, see the DXpedition website at http://wake2013.org/index.html. The two-and-a-half week shutdown of the U.S. federal government had widespread effects on hams, but most were temporary and resolved quickly once the government re-opened. The FCC was effectively closed from October 1-16, and no applications for new licenses, license renewals or vanity call signs were processed. After the shutdown ended, the Commission said any filings due between October 1 and 6 would be extended to October 22, and due dates on filings due between October 7 and 16 would be extended by 16 days. Amateurs who filed renewal applications before the shutdown for licenses expiring during the above time period were permitted to continue operating, and the Universal Licensing System (ULS) began processing applications immediately after the government re-opened. Vanity call applications filed or received during the shutdown, as well as those filed between October 17 and 22, were treated as though all had been filed on October 22. Finally, the deadline for reply comments on the FCC's reassessment of RF exposure limits (ET Docket #s 03-137 & 13-84) was extended to November 18. The government shutdown also forced postponement of the long-planned K9W DXpedition to Wake Island. At press time, expedition leaders said they were working with the U.S. Air Force (which controls the island) to set new dates. In addition, organizers of the annual National Wildlife Refuge Week amateur radio special event from October 12-20 suspended the rule requiring that operations be conducted from the grounds of a national wildlife refuge. The FCC has turned away a petition to allow Technician Class hams to use 10-meter FM repeaters. The Toledo Mobile Radio Association had asked the FCC in June to allow Techs to transmit between 29.5 and 29.7 MHz, the repeater subband, in addition to current privileges from 28.0-28.5 MHz. In an unusually-quick response, the FCC said no, noting that Techs may already use VHF or UHF inputs that are linked to many 10-meter repeaters, and that Technicians who really want to use 10-meter repeaters may easily upgrade to General Class by taking only a 35-question written exam. 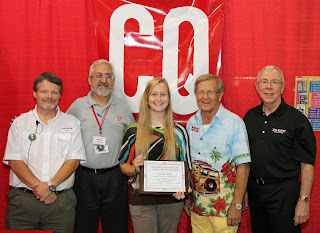 The Dayton Amateur Radio Association is soliciting nominations for next year's Hamvention® awards, which include Amateur of the Year, Special Achievement, Technical Excellence and Club of the Year. Nominations must be received by January 17, 2014. For more information, visit <www.hamvention.org/awards.php>. California Ham Honored as "Champion of Change"
Matt Brisbois, KI6RBS, of Newport Beach, California, has been recognized by the White House as a "Champion of Change for Community Preparedness and Resilience," in recognition of his work as coordinator of the city's Community Emergency Response Team (CERT). According to the ARRL Letter, Brisbois has trained more than 1000 of his fellow citizens to help in emergencies, giving Newport Beach the highest volunteer-to-resident ratio for any CERT program in California. He was presented with the award in September at a ceremony in Washington headed by FEMA Administrator Craig Fugate, KK4INZ. An international group of hams, including CQ DX Editor Wayne Mills, N7NG, is planning to operate from South Sudan as Z81X from November 14-28, a time period that includes the CW weekend of the 2013 CQ World Wide DX Contest. The group of 10 hams includes two local operators and is led by International Amateur Radio Union Region 1 President Hans Timmerman, PB2T, according to Mission Goodwill South Sudan spokesman Martti Laine, OH2BH. the operating side, the plan is to activate all HF bands with an emphasis on 80 and 160 meters. QSL via OH0XX. DaySaver Power Systems is merging with Elk Antennas of Walnut Creek, California. DaySaver products will continue to be offered by Elk, which reported that the merger helps fulfill its goal of expanding its line of products for emergency communications and remote or portable operating. DX Engineering has become the sole distributor for Hi-Z Antenna products, taking on marketing, distribution, customer service and fulfillment for both product lines. Hi-Z specializes in receiving antennas. And QRP kit-maker Small Wonder Labs has closed its doors. In an announcement on its website, owner Dave Benson, K1SWL, said "There comes a time in everyone's career when they've 'had enough!' I've reached that point." At press time, Benson said he was negotiating with "another QRP vendor" to take over manufacturing and sales of his popular RockMite CW transceiver kit. HF design pioneer and CQ author Warren Bruene, W5OLY, passed away in late September at age 96. Bruene was one of the people "behind the scenes" at Collins Radio and later at Rockwell Collins, working on many aspects of HF design during a 44-year career. According to the ARRL Letter, he held 22 patents and was a prolific writer. Bruene's most recent article for CQ - "How a Few Elmers Unknowingly Changed the World" - appeared in our August 2013 issue. Retired British diplomat Robert Ford, ex-AC4RF, died in London at age 90. According to the ARRL Letter, he operated from Tibet from 1948 until China took it over in 1950. He was responsible for starting the Tibetan government's shortwave station, Radio Lhasa. Ford spent five years imprisoned in China for "radio espionage," and later served in a variety of postings for the British Diplomatic Service. He retired in 1987. Still alive and active at age 96 - but stepping down from a longtime position as Wireless Room Manager aboard the Queen Mary museum ship - is Nate Brightman, K6OSC. Newsline reports that Brightman, who established the W6RO club station and has served as its manager for 34 years, cited a recent illness and his age as reasons for retiring. The new W6RO station manager is David Akins, N6HHR. 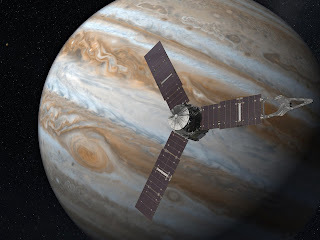 Hams around the world joined forces on October 9 to collectively say "HI" -- in Morse code -- to the Juno spacecraft as it swung around the Earth for a gravity-assisted boost on its journey to study natural radio signals from Jupiter. The ARRL Letter reported that hams were asked to spread out across the 10-meter band and to transmit "HI" in very slow-speed Morse (1/25 of a word per minute) on a precise time schedule over a 2-1/2 hour period. The goal was to see if the spacecraft would be able to detect the signals within its receiver's 1-MHz bandwidth. Principal Engineer Don Kirchner, KD0L, said preliminary indications were that "we had very large and enthusiastic participation." "Last Man Standing" producer John Amodeo, NN6JA, reports that lead character Mike Baxter (Tim Allen) finally gets on the ham bands during the program's Thanksgiving episode, which was shot in mid-October and scheduled to air on November 22 on ABC. According to John, Mike heads to his basement ham shack to escape a house full of guests waiting for Thanksgiving dinner to be served. 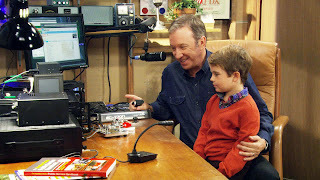 This is the second "Last Man Standing" episode to include ham radio as a story element, and the first in which Allen's character is seen operating his ham station. It was 30 years ago this coming November that Owen Garriott, W5LFL, became the first person to operate a ham radio station from space, aboard the Shuttle Columbia. The AMSAT News Servie reports that the anniversary will be a key element of AMSAT's 31st annual Space Symposium and annual meeting, being held - appropriately - in Houston on November 1-3. Garriott's contacts were the first time that an astronaut in orbit was able to communicate with people back on earth without going through NASA's communication system. His operation led to what is now the ARISS program, in which astronauts on the International Space Station use amateur radio for school contacts as well as occasional personal operation. Mark Hammond, N8MH, AMSAT's Vice President of Educational Relations, has stepped down from the volunteer position after being named Vice President of Academic Affairs and Provost of Campbell University in Buis Creek, North Carolina. The AMSAT News Service reports that E. Michael McCardel, KC8YLD, has been appointed to complete Hammond's term in the AMSAT leadership. The ARRL Letter reports that officials of Army MARS (the Military Auxiliary Radio Service) met with League staffers in early October to discuss ways in which the two organizations might work together in emergency response. The immediate focus was a national-level MARS test of backup communications scheduled for early November, for which the Army group had already invited participation by its colleagues in Navy-Marine Corps and Air Force MARS, as well as CFARS, the Canadian Forces Affiliate Radio System. The 48-hour test is designed to measure the capability of MARS to provide backup communications in the event that normal communications are disrupted throughout North America. Hams around the world will be feeling the impact of the U.S.government shutdown that began on October 1. Here in the U.S., the FCC has shut down all but safety-of-life functions, meaning that no licenses are being issued and very little enforcement activity is taking place. The FCC has suspended issuance of new or renewed amateur licenses. Hams whose licenses expire during the course of the government shutdown will have to use their own judgment as to whether to keep operating. In the past, when various events have delayed the issuance of licenses, the FCC has permitted amateurs who have filed their renewal applications in a timely manner to continue operating until their renewals are processed. However, no one from the FCC has been available in this instance to confirm whether that will be the policy this time. The U.S. federal government suspended most operations on October 1, the start of the government's new fiscal year, after Congress and the President could not agree on terms of a budget resolution. The U.S. Constitution gives Congress the primary responsibility for appropriating money for government operations. Organizers of the 2014 World Radio Teamsport Championship (WRTC) have announced the names and call signs of the amateurs invited to be team leaders for next year's running of this head-to-head competition among the world's top amateur radio contesters. The 2014 competition will be held in New England, its first return to the United States since 1996 and its first-ever running in the eastern U.S. The competition will consist of 51 two-person teams as well as two wild card teams, a youth team and one consisting of the last competition's champions. According to the organizers, the team leaders come from all continents - 27 from Europe, 15 from North America, five from Asia, two from South America, and one each from Africa and Oceania. It was noted that 10 of the Team Leaders in North America are first-time WRTC competitors, while Europe produced a more veteran group with only eight rookies among the 27 slots. Team leaders have until October 15 to accept the invitation and nominate a teammate. WRTC2014 will be held from July 8-14, 2014, with the on-air competition coinciding with the IARU HF Champship contest. For a complete list of team leader invitees, visit <http://www.wrtc2014.org/wrtc2014-announces-team-leaders/>. General information on WRTC2014 may be found at <http://www.wrtc2014.org>. Amateur radio emergency communicators in two western states were kept busy in August and September, providing backup communications -- and sometimes the only communications -- in response to wildfires in California and both fires and flooding in Colorado. Ham radio communication was briefly featured in an NBC Nightly News segment on the flooding around Boulder, Colorado, that as of press time had resulted in several deaths, several hundred missing people and massive property damage. The Colorado flood disaster continues to unfold as our November issue goes to press. Stay tuned for complete coverage of these latest examples of amateur radio's emergency response in December CQ's Public Service column. Air Force MARS (Military Auxiliary Communications System) has a new Chief. David Stapchuk, director of operations for Detachment 1 of the 92nd Information Operations Squadron at Scott Air Force Base in Illinois, took command of the service on August 23. In his primary job, he is responsible for overseeing cyber operations in support of the detachment's communications security mission. In a message to all members, Stapchuk said he was excited about his new position and eager to work with the MARS volunteers "in fulfillment of the MARS mission to provide contingency radio communications support to U.S. government operations." The Chiefs of both Air Force MARS and Navy-Marine Corps MARS were invited by their Army MARS counterpart to work jointly in a national communications exercise scheduled for early November. According to Newsline, the goal of the 48-hour exercise will be to measure the ability of MARS members to respond in the event that normal communications are disrupted throughout North America. Army MARS is also in the process of phasing in direct support of Army National Guard units around the country, according to spokesman Bill Sexton, NI1N. Sexton says the group's regional directors were told in September by Chief Stephen Klinefelter that headquarters had already begun setting up contacts with individual state Guard organizations, as part of the Army's broader program of Defense Support for Civil Authorities. A new guidebook published by the U.S. Department of Homeland Security's Office of Emergency Communications reportedly is chock-full of frequency information, operating procedures and other important information that can be essential in a wide-scale emergency. According the Newsline, the National Interoperability Field Operations Guide, or NIFOG, was written by agency staffer Ross Merlin, WA2WDT, and is available in print or downloadable formats. Go to <http://bit.ly/15bYxHe> to download the book or find a link to request "reasonable quantities" of the printed version. Researchers at the Massachusetts Institute of Technology have developed an inflatable antenna for CubeSats which will reportedly permit the tiny satellites to operate in higher orbits and/or transmit information at higher data rates. For more on this development, see CQ's "VHF-Plus" column in the upcoming November issue. A ham from North Carolina trying to cross the Atlantic in a basket held aloft by 365 individual helium balloons took off from Caribou, Maine on September 12 and made it successfully across … the Gulf of St. Lawrence. "Landed safe, at an alternate location," Jonathan Trappe, KJ4GQV, posted on his Facebook page. That location, according to the ARRL Letter, turned out to be Newfoundland, only a few hundred miles from his liftoff point. Trappe's craft carried amateur radio beacons on 20 meters (RTTY) and 2 meters (APRS). No word yet as to when, or whether, he will try again. Could "Ambient Backscatter" Provide Free Power? Researchers at the University of Washington say they have found a way to harness the energy in radio frequency signals in the air to power devices that also use that energy to communicate among themselves. The ARRL Letter reports that the UW team has developed devices that "form a network out of thin air," relying for power on what the group terms "ambient backscatter," allowing them to "repurpose wireless signals that are already around us into both a source of power and a communication medium." The group is looking to develop the technology for use in "wearable computing, smart homes and self-sustaining sensor networks." More information, including a video, may be found at <http://abc.cs.washington.edu/>. Concluding that current rules prohibiting encryption on most amateur radio transmissions are not "impairing the ability of the Amateur Radio community to provide effective support to public safety agencies during emergencies," the FCC in mid-September dismissed a petition that sought approval for encrypting certain personal information in emergencies or emergency drills. Don Rolph, AB1PH, had submitted the petition, claiming that the ban on encryption prevented hams from transmitting individuals' medical data on behalf of served agencies, thus reducing the effectiveness of amateur radio emergency communications. The FCC said it received over 300 comments on the petition and that they were against the proposal by a 2-1 margin. The commission concluded that "while the proposal could advance one purpose of the Amateur Radio Service - (emergency communications) - it would undermine other characteristics and purposes of the service." Orange County Radio Amateurs in North Carolina now has a new tool to bring along to public service events … an automatic external defibrillator, or AED, donated by a local medical practice. OCRA provides communications support for a variety of races and other sporting events and in case of a problem along the course requiring a defibrillator, the group can promptly get it delivered to relieve anyone performing CPR. The donation came from Triangle Orthopaedic Associates, which noted in a news release that they "are proud to donate such a vital piece of emergency equipment to OCRA, although they sincerely hope OCRA never has to use it." Vonage co-founder Jeff Pulver, WA2BOT, recently credited ham radio as one of the major factors behind his role in developing the VoIP (Voice over Internet Protocol) technology that allows thousands of people to use the internet as their long-distance phone service. According to an article in VentureBeat.com, Pulver told an audience at the TwiloCon convention in San Francisco in September that amateur radio "unlocked my connection to voice over IP," and that his career in software began with writing a ham radio logging program.